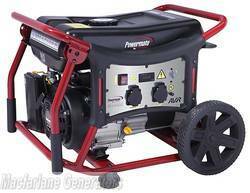 Powermate portable generators are designed for the tradies. The range is ideal for remote power needs and can power small power tools, lighting, and more. When not being used around the job site, the Powermate WX2200 can be used for emergency power during a power outage.